Where can I view stats? or all guestlists created in your account. This graph isn't altered when you select a date from the drop down box above. 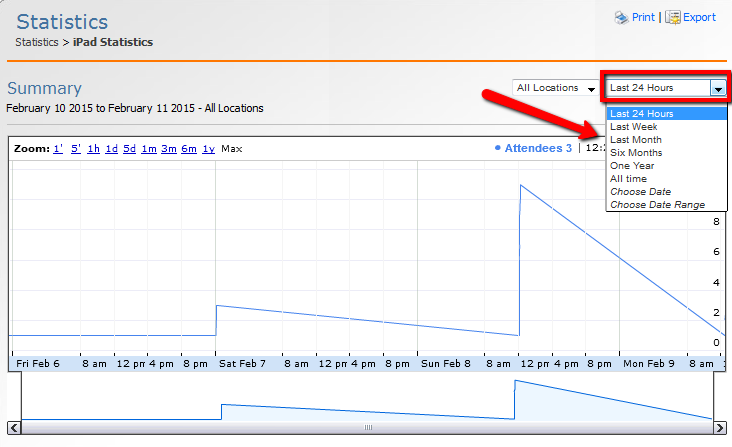 Then you will see a Guestlists table containing the list name, date, time, attendees expect, arrived and walk-ins. 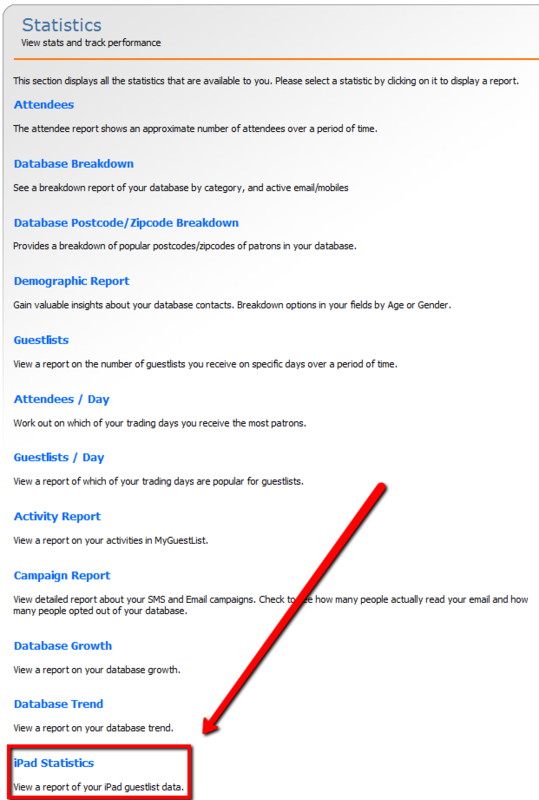 By clicking on the magnifying glass icon to the left of the Guestlist, you can view the specific statistics to that Guestlist. You can also print or export the list to a CSV by clicking on the Print | Export in the top right. 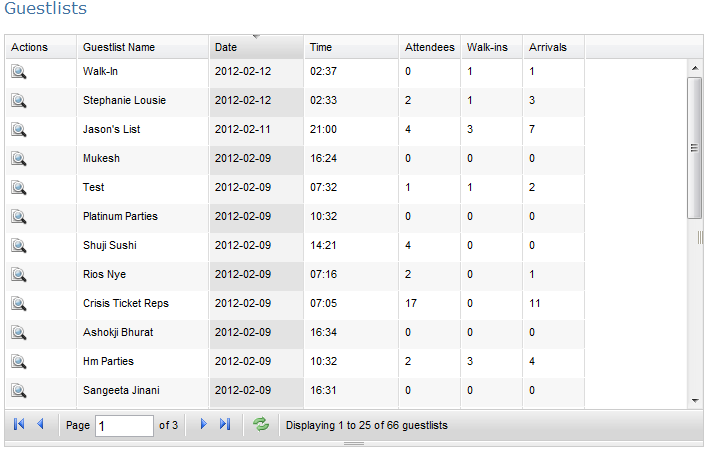 At the bottom of the Statistics for Guestlists, there is a table where you can track promoter progress. It lists the name, number of lists, attendees and arrivals. Can I use more than one iPad?